The great Australian dream sits here as pretty as the picture. A 1950's Brick and Tile character home sitting proudly behind a picket fence and in a super convenient cul-de-sac location that is opposite reserve parklands, local bus route and within walking distance to the delights of the East Victoria Park's cafe strip, Swansea Street Markets and the Aqualife Centre. 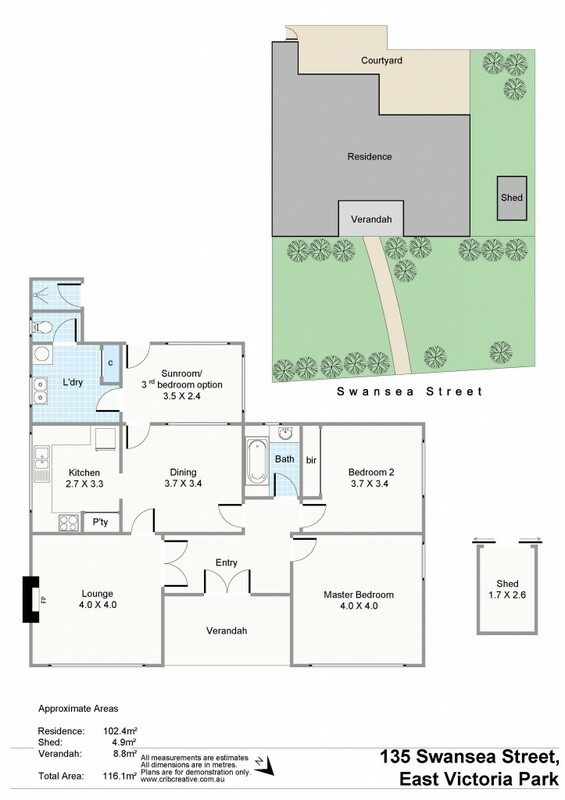 All this on large 343sqm block with an abundance of room to move and create your forever home! * Formal dining room, which is adjacent to the kitchen, and is lovely central space that will no doubt become the scene of your most coveted memories - forever moving forward! * The kitchen area has been upgraded over time, with loads of bench and cupboard space including overheads, with gas upright oven/hotplate combo. * The master bedroom is a beautiful light filled space courtesy of the huge windows and high decorative ceilings, plus it has polished floor boards and reverse cycle split system air conditioning. * Rear sunroom or reading area, perfect to while away the afternoons. With a little creativity this space could easily be converted into a 3rd bedroom, study or secondary living area. * The large rear courtyard is the perfect blank canvas to create your outdoor oasis, it lets the mind run free! * Open paved parking area with room for two cars and potential to add a lock-up garage to the side of the property, and even a front brick wall that would unlock so much extra usable space! * Close to the Swan River, CBD, Elizabeth Quay and the new Perth Stadium. Once you step inside this home you will immediately fall for this gorgeous old gal! With plenty of potential and an amazing opportunity to plan your future renovation/extension to make truly yours.